Simona began her studies in Puglia and later in Venezia at the “Biennale Danza” for choreographic Collision project,then in Cibitanova Marche for a masterclass with the “Alonzo King Lines Ballet” before going on to further studies in the USA(Trisha Brown Intensive,Susan Marshall Project,Gibney Center) and The Netherlands (H.J.Foundation). The “Breathing Art Company” was created to give opportunity to local talents to express themselves, develop, and have the chance to present on stage what they had worked so hard to achieve. In 2015 she was invited to the USA to hold classes for university students in the following institutions - Taproot, Columbia University, Island Moving Company, Florida Atlantic University, Miami Dade College. She participates in national and international festivals, collaborates with directors and actors such as Claudio Insegno and Orso Maria Guerrini and works with orchestras and musicians to promote all aspects of art and the fusion of different styles of expression. She also works as a teacher, working with children to develop new talents, many of which today work for companies or study in prestigeous academies, with actors and dancers, developing their skills. Simona founded the “Breathing Art Company” in Bari in 2005, the dance company with which she produces her creations and promotes the art of dance all its many guises. In recent years she has brought her work to the USA - New York, Miami, Boca Raton, Puerto Rico, Charlotte and Newport, where in 2018 she will create a new piece for the company. In Europe she has worked in Spain, Germany, Albania and The Netherlands, creating an international network of collaborators involved in the“Premio Internazionale di Danza San Nicola”, which she created and has directed each year since since 2010. 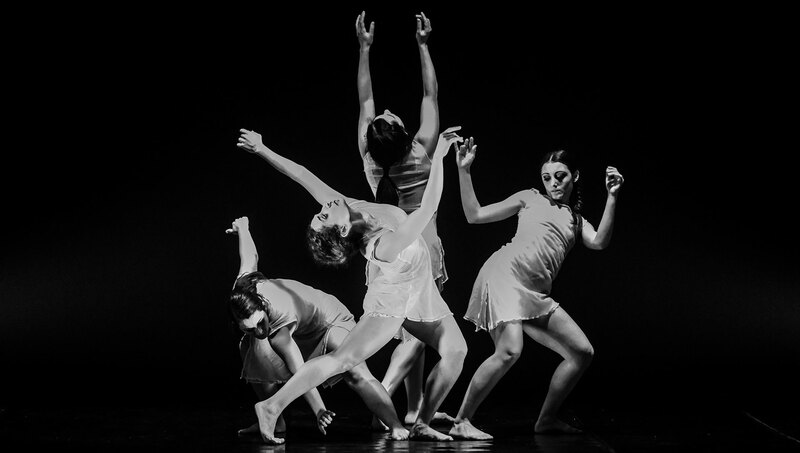 She presents her works in Puglia during the theatre season, directs events involving a variety of diverse artistic media and follows projects focused on the development of new dancers in the Puglia area. She has choreographed the “Promessi Sposi” by Claudio Insegno, the street shows of the Carnevale di Putignano and with her works has taken part in a number of foreign festivals. She has also been a judge at the “Montenegro Dance Festival”. Ilaria has been part of the “Breathing Art Company” since september 2011. She has performed all over Italy and abroad, and has taken part in the Tanzartfestival di Giessen-Germany, European tours in Germany-Dusseldorf, Spain-Barcellona, Albania-Tirana, and tours in the USA with shows in Miami-Boca Raton, New York and Charlotte, where she has performed with the local company “Taproot”. In November 2013 she performed in “La Procreation du Printemps”, by Fabio Crestale (I Funamboli-Paris). In April and May 2015 she worked with the “Tanzcompagnie” – Giessen (Germany) for the show “The Idea of Order” by Felix Dumeril. Rita studied and developed her career at the “Opificio in Movimento” in Rome directed by Enzo Celli. She danced in “Hell in the Cave”, “Picasso Dance Project”, “La Marta Dance Project”, and joined the “Breathing Art Company” in 2016. She performed in “Human Beings...Be Human” presented in Germany and also in “Tutte Le Donne di William”. She is directly involved in the development programs organized by the company, particularly those designed for children. Francesco is the latest arrival to the “Breathing Art Company”. He plays the male role in “Tutte Le Donne di William”. After several years of study in Italy and abroad, he became a teacher and a choreographer, winning numerous prizes for his works, while progressing with his career as a dancer and taking part in movie productions with Uccio De Santis. He takes active part in youth talent competitions and festivals, the latest being the 2017 edition of “Ai Confini del Corpo”. After following development programs from the school of “Breathing Art Company”, Marianna and Liliana were selected for a schoolarship program with the company. In 2018 they took part in “Tutte Le Donne di William”. They were dancers at “Ai Confini del Corpo” in 2017, and at the “Premio Internazionale di Danza San Nicola” they won scholarships to Miami. Josephine joined the company in 2011 as a dancer in “Rendezvous”, “Il Brutto Anatroccolo”, “3Sisters3...” and “Principessa Per Caso”. She took part in the “Tanzartfestival” in Germany, and became involved in teaching in Spain and Albania. She also participated in two tours in the USA incorporating shows in New York City, Charlotte and Miami. Since 2016 she has been mainly involved in teaching and development projects supporting the “Premio Internazionale di Danza San Nicola” and international workshops. Federica has been the marketing and comunications force behind the “Breathing Art Company” since 2016.